HRS meets with hospitals regularly to define patient needs after discharge. HRS then assesses the patient in the home environment. Socio-economic needs and clinical needs are assessed in the home environment to determine a living care pathway that the HRS clinician can follow. 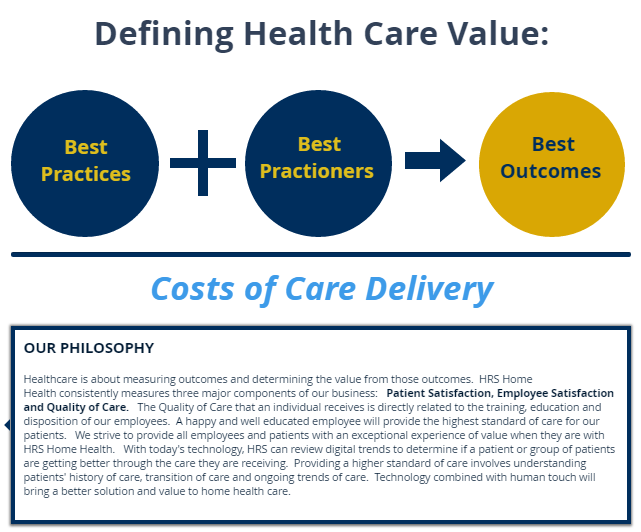 By standardizing a route for our clinicians, HRS is able to define and refine better methods of care. HRS is continuously developing care pathways related to specific disease states. The care pathways are uploaded within our software system so clinicians can access them on individual tablets. What is a Home Health Monitoring System? All of the above data is immediately transmitted to the HRS Corporate Office for clinical review. If the data collected indicates a need for intervention, or if vital signs are not collected when prompted, appropriate action is taken by members of the HRS care team. What are the Benefits of Telemonitoring? Provides a sense of security for the patient and patient's family knowing that somebody is watching over their health every day. Provides care based on a patient's needs in addition to a nurse's visit schedule. 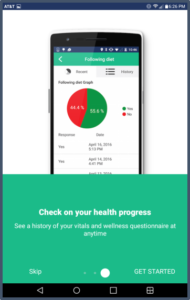 Assists doctors in managing medication and diet by reviewing data trends. Catch's medical irregularities by daily use of Telemonitoring devices to prevent rehospitalization. What Disease States Benefit from Telemonitoring? Telemonitoring technology enables caregivers to monitor and assess a patient's condition from a remote location. The telemonitor transmits a patient's vital signs via cell towers from their home to a central computer station where a Registered Nurse monitors the data. HRS works very closely with the patients of hospitals, skilled nursing facilities and health clinics in developing on-site programs for using telemonitoring devices to decrease re-admissions. HRS invested in the Allscripts Homecare Physician Portal to streamline communication and to expedite orders for physicians in a timely fashion. The portal is a secure, easy-to-use, web-based application. It is our hope that we can assist physicians with decreasing paper so more time can be spent with the patient.